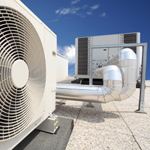 Dependable Graham Air Conditioning has been providing quality commercial and industrial service in the Orange County area for many years. Our staff of highly trained service technicians is dedicated to customers like you, providing the prompt, courteous attention that you deserve. The HVAC industry is rapidly changing and it requires continuous education and training to stay on the "cutting edge" of new technology – and to maintain existing equipment. Dependable Graham Air Conditioning is a full service company offering maintenance, service and installation. We also support our in house sheet metal design, fabrication and installation shop. We can work with you on any of your HVAC needs including but not limited to building automation & controls, rooftop units, air and water cooled chillers, air movement, environmental control (computer room), hydronic systems and equipment reliability.